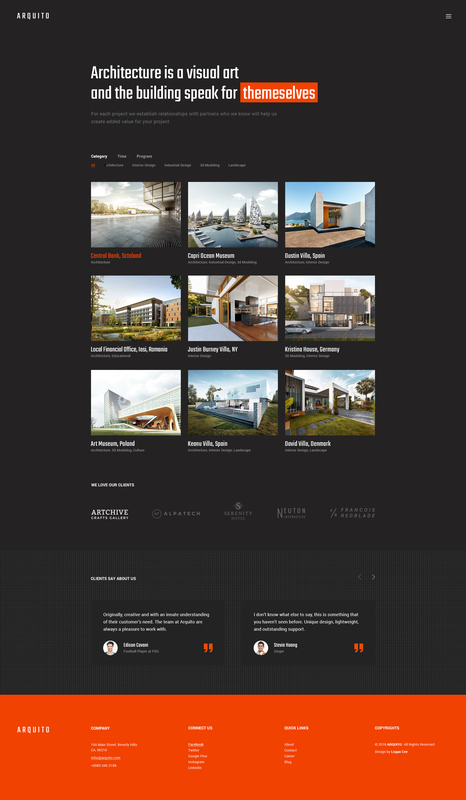 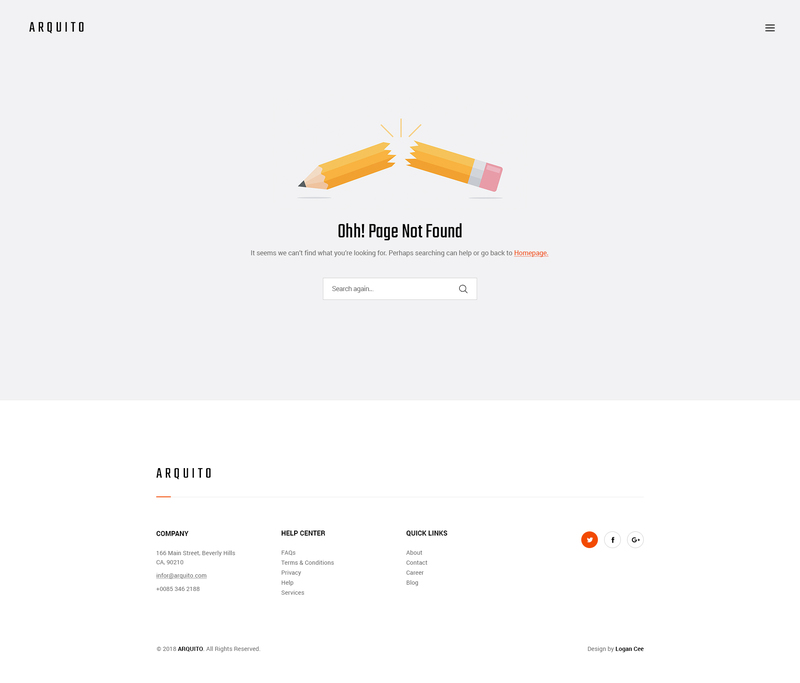 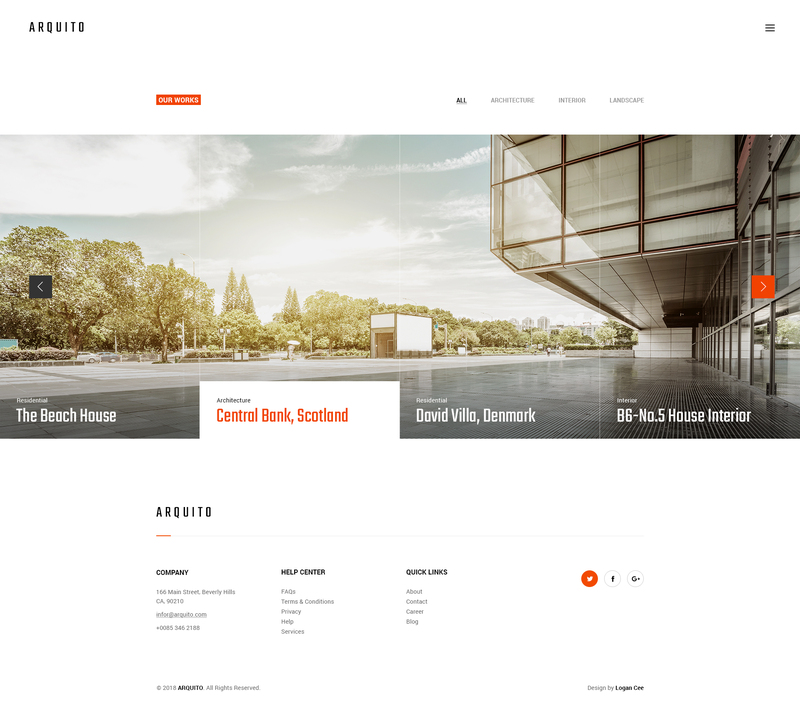 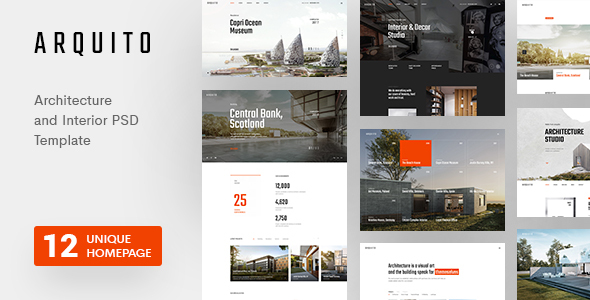 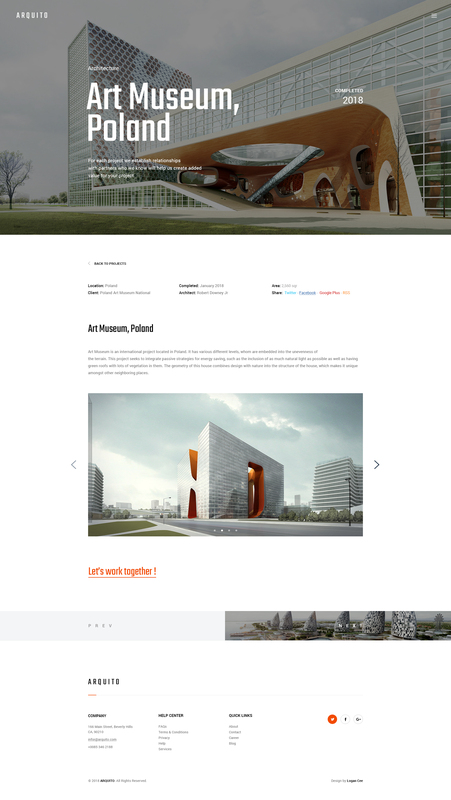 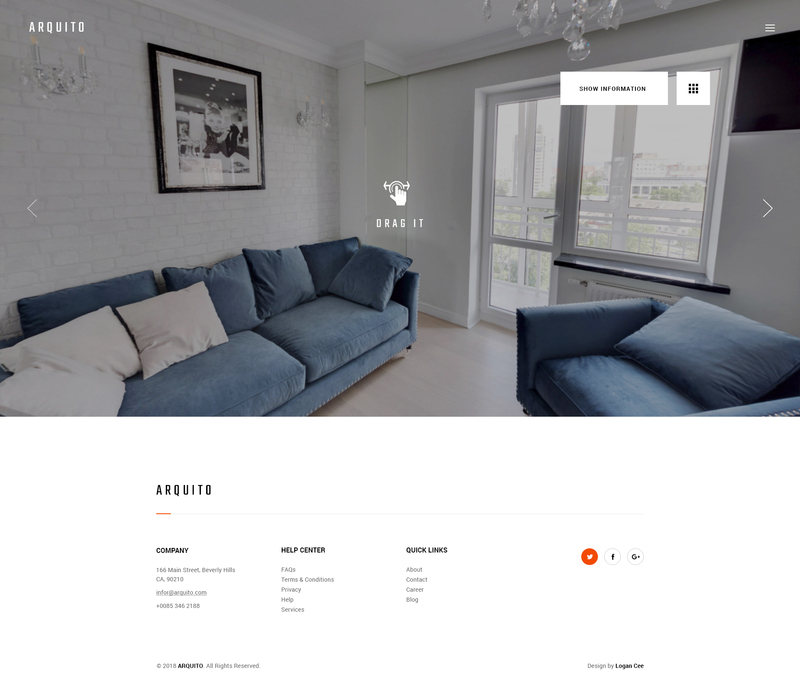 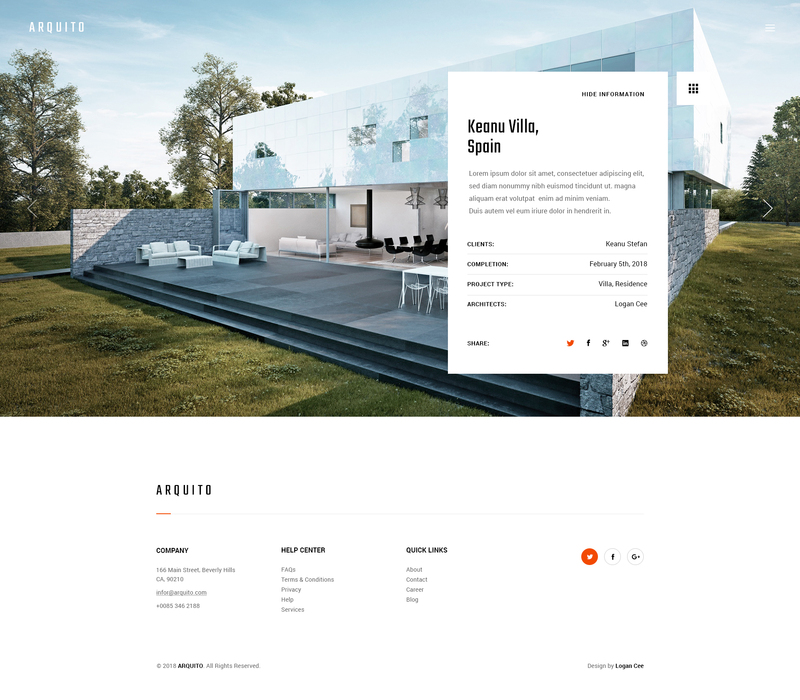 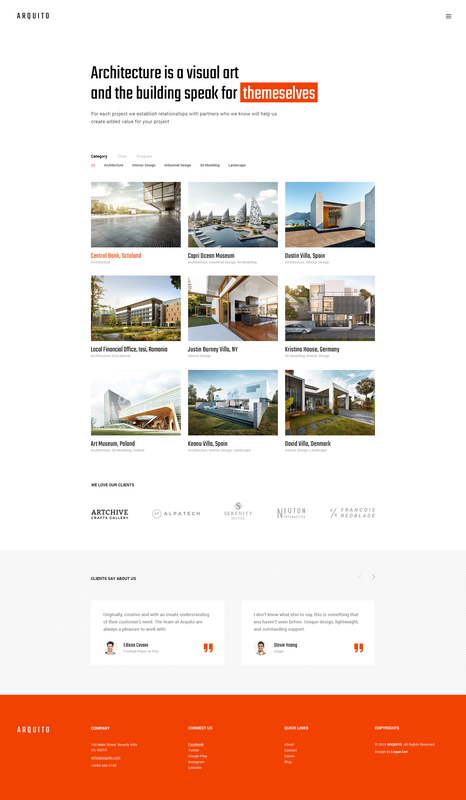 Arquito is evaluated an unique & trendy PSD template for architecture & interior company. 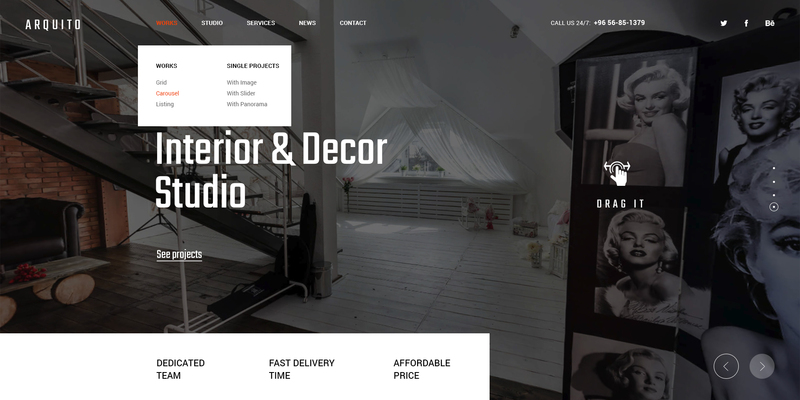 With design clean and modern, Arquito will make your work look more impressive and attractive to viewers. 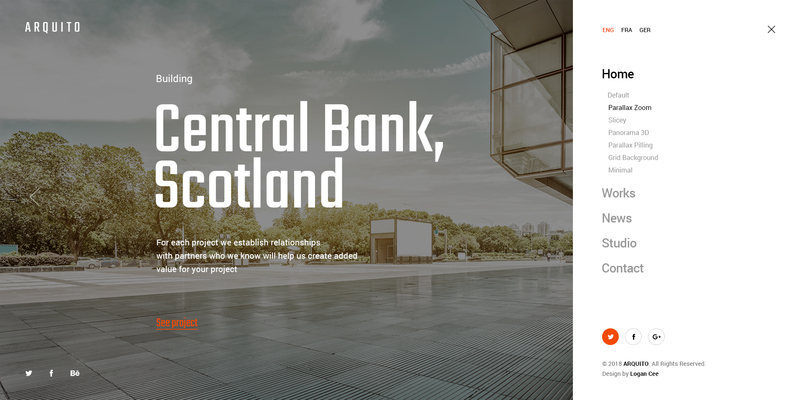 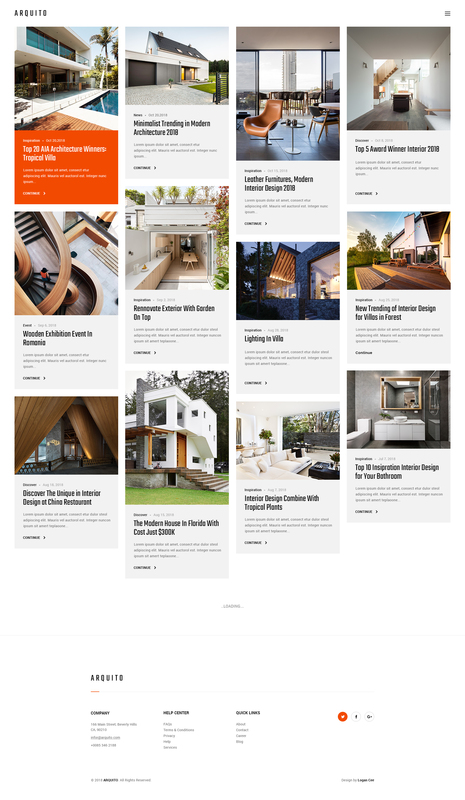 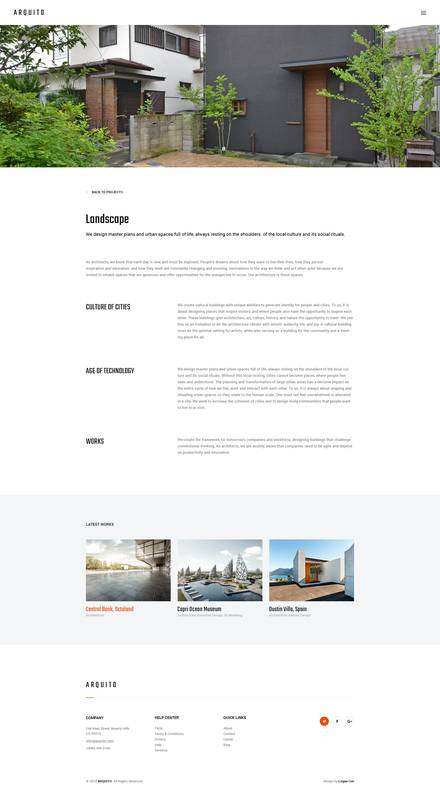 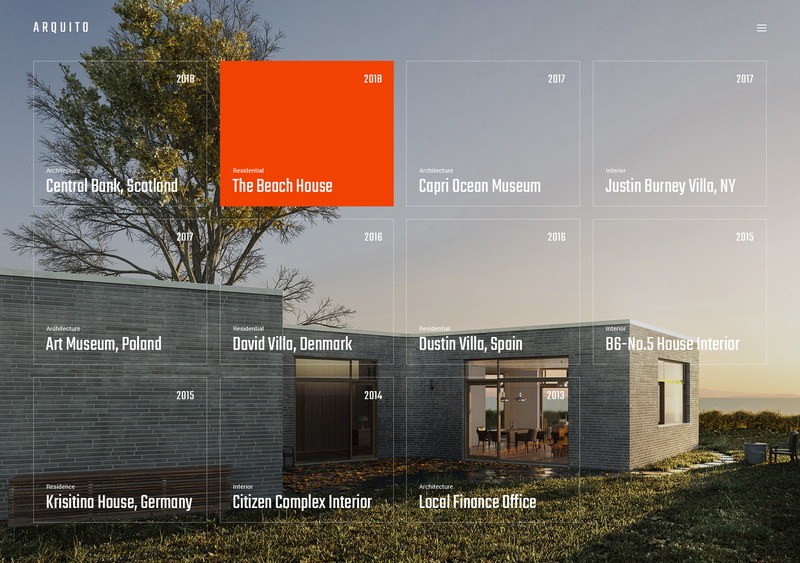 Designed on grid system, your site will look sharp on all screens. 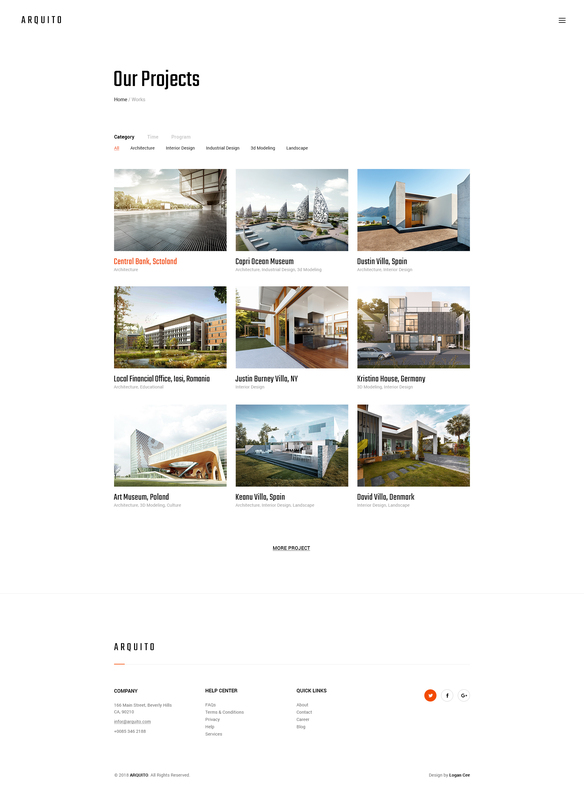 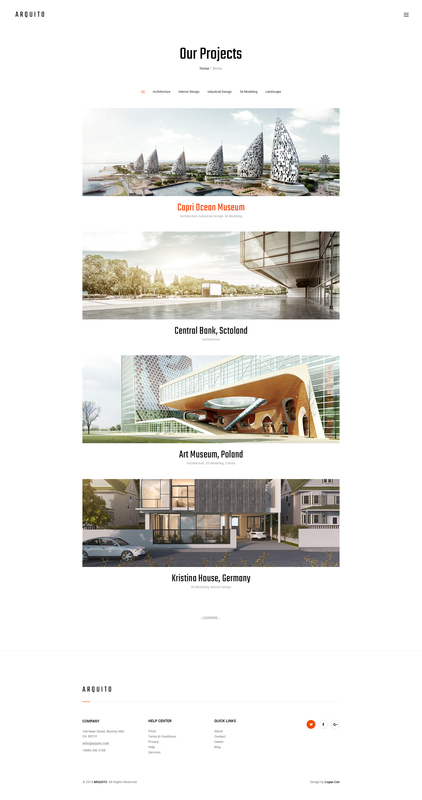 My package includes 29 well-organized PSD files and with this template you can use it for a lot of website such as architecture companies, interior studio, construction, furniture or simply just personal websites need to show portfolio with a look creative and impressive more. 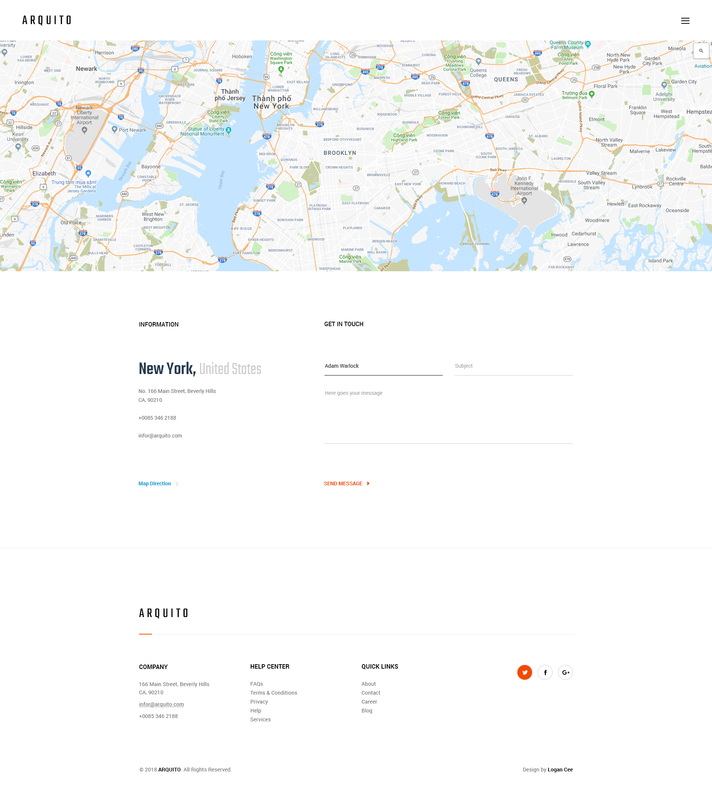 Motivation me with 5 stars if you love Arquito. 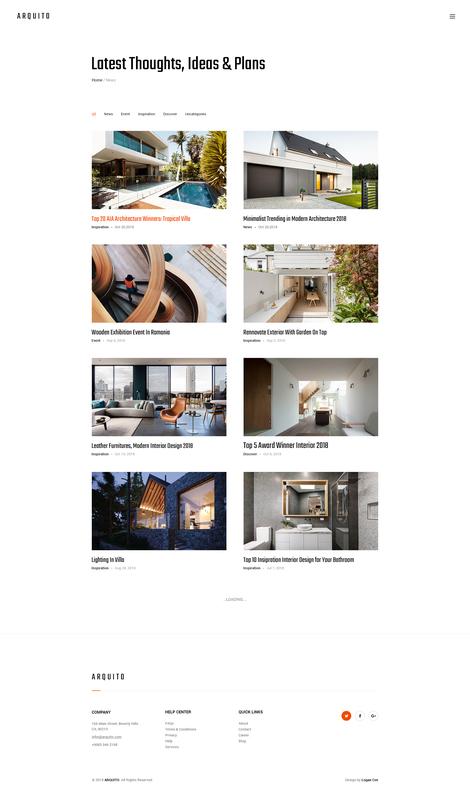 Any media – Images, icons or logos used in previews are not included in this item and you need to contact authors to get permission in case you want to use them in your commercial or non-commercial projects.